Che farai, Meliseo? ...Qual fiera si crudel? 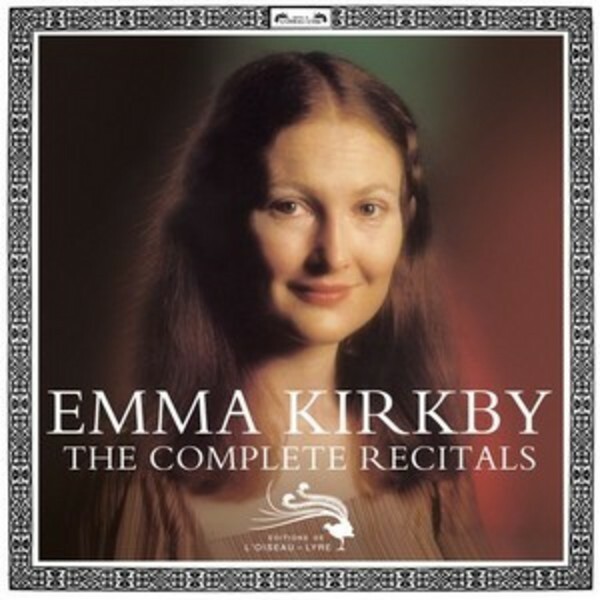 This 12 CD collection brings together Emma Kirkby’s complete L'Oiseau-Lyre recitals in a single set. The world’s most popular period-instrument soprano, Kirkby’s pure, crystalline sound defined how vocal music of the baroque and earlier eras should sound for a whole generation or more. Accompanied in the main by Anthony Rooley, the set features works by Purcell, Handel, Bach and Mozart as well as rarely recorded works by Edwards, Campion, Dowland, Morley, Ferrabosco and many more. The CDs are presented in a capbox with a 44pp booklet featuring track lists, recordings information, rare photographs and an essay by Lindsay Kemp and original album covers.